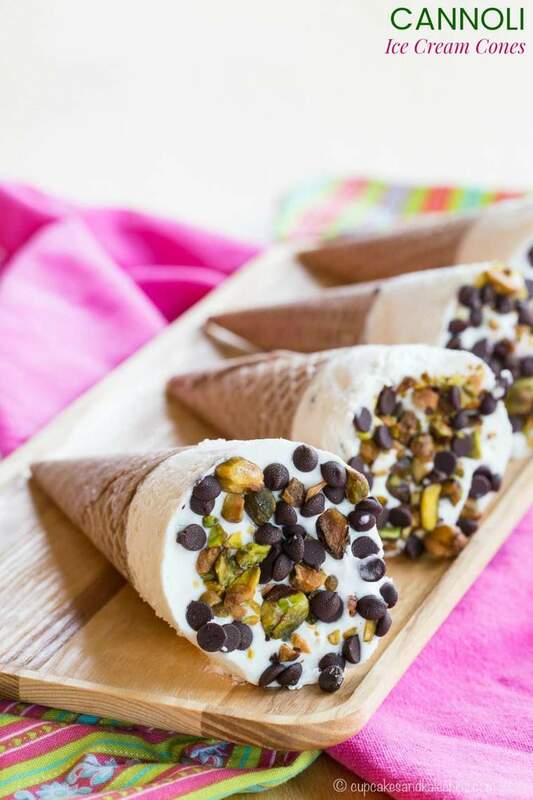 Fill sugar cones with a no-churn cannoli ice cream for a fun frozen fusion of the classic Italian dessert and childhood favorite Drumstick cones. 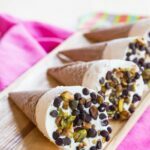 Cannoli Ice Cream Cones combines the classic Italian cannoli and the childhood favorite Drumstick into one fun frozen dessert that starts with an easy no-churn ice cream recipe. You can use gluten free cones too! Cannolis are deceptive little buggers. And as I write that brief, almost nonsensical introductory sentence, I realize they are deceptive for multiple reasons. Because first of all, “cannolis” is not a word. I have to go back to my very cursory knowledge of Italian and remember that cannoli is plural, just like ravioli and panini and spaghetti. So technically if you are only order one of these little pastries, you are ordering a cannolo. But in the heavily Italian-American area where I grew up, I have never in my life heard someone order a cannolo. It’s a cannoli. Whether they want one or three. Or maybe I’ve just never heard anyone order only one at a time. But that’s neither here nor there. Please tell me I’m not the only one who always expects light, fluffy, ethereal whipped cream, or at least a rich and sweet buttercream when they bite into a cannoli. Cannolo. Whatever. Not the point. The point is that when it comes to eating cannoli, I am the very definition of insanity. I do the same thing over and over again, expecting a different result. 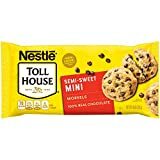 Why did I always order them or grab one from a dessert table and totally expect that they will taste different from all the previous times that I’ve tried them. It has taken me until my adult years to grow to enjoy that ricotta filling, even though I always expect it to taste different based on how it looks. It’s not as sweet as I expect by looking at it, but I’ve learned that’s a good thing, and the ricotta cheese, while it takes away from the smooth creaminess of the filling, it adds a little tang that truly is a perfect complement to the fried pastry shell. 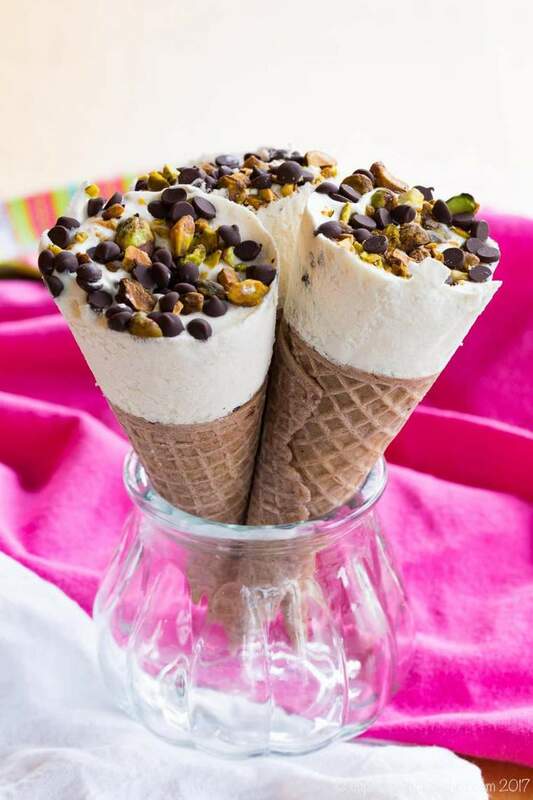 Cannoli Ice Cream Cones are a fun frozen twist on two all-time favorite desserts! Are they a fun way to eat a fancy gourmet Italian pastry? 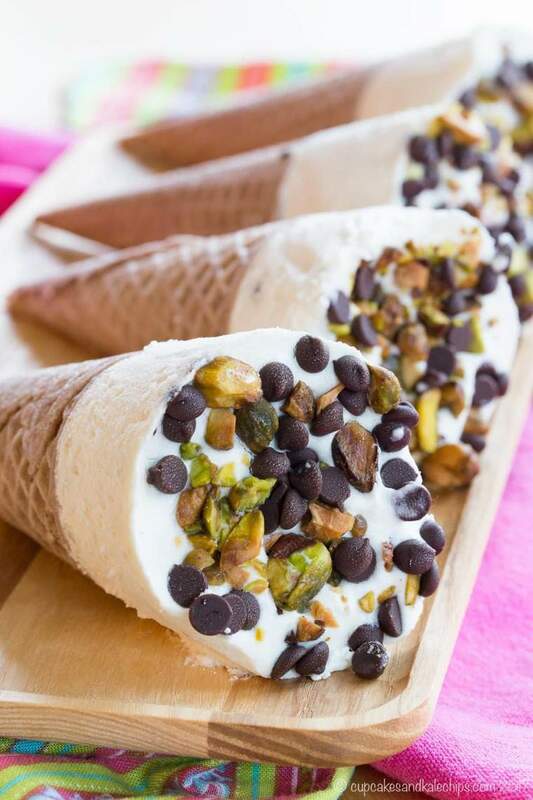 Or are the a glammed up gourmet version of those Drumstick ice cream cones from the ice cream truck or a box in your freezer? Either way, they are easy and so good. 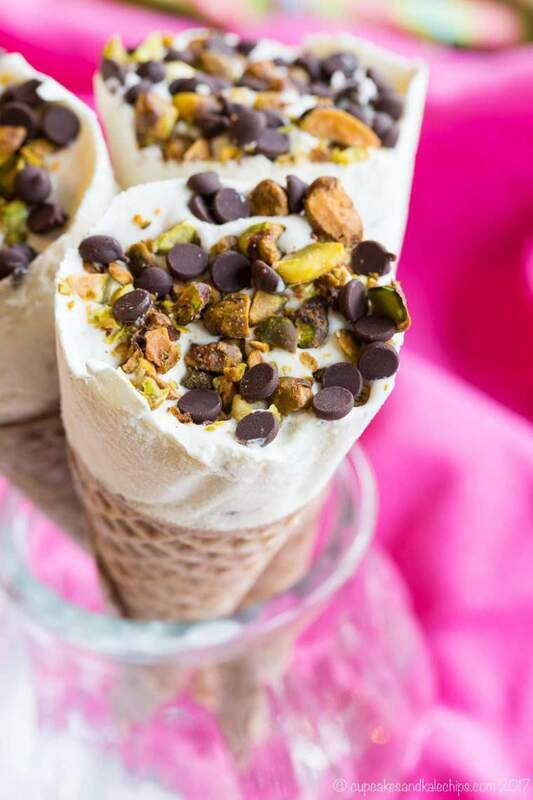 It all starts with basic sugar cones which have been brushed on the inside with melted dark chocolate, then wrapped with wax paper so that it comes a couple of inches above the top of the cone. 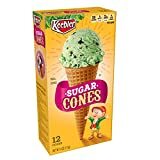 I actually used gluten free sugar cones (I found these in my local grocery store). Then you just mix up the base for a simple no-churn ice cream recipe made with ricotta cheese which I adapted ever-so-slightly form this No-Churn Cannoli Ricotta Ice Cream from Just a Little Bit of Bacon. Pour it into the wrapped cones so that it comes up just about an inch above the top of the cone, but still below the top of the wax paper. 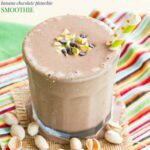 Sprinkle with mini chocolate chips and chopped pistachios, prop the cones upright in cups, jars, or glasses, then pop them in the freezer. All that’s left is to unwrap and enjoy! If you don’t want to wait for ice cream to freeze, you can break up those cones and dunk them into Cannoli Dip from Big Bear’s Wife. Or make Mini Cannoli Cups from Tried and Tasty. Also fun is a Cannoli Cheeseball from Taste and Tell. Or try a different type of frozen twist and make Banana Split Cannoli from Pint Sized Baker. 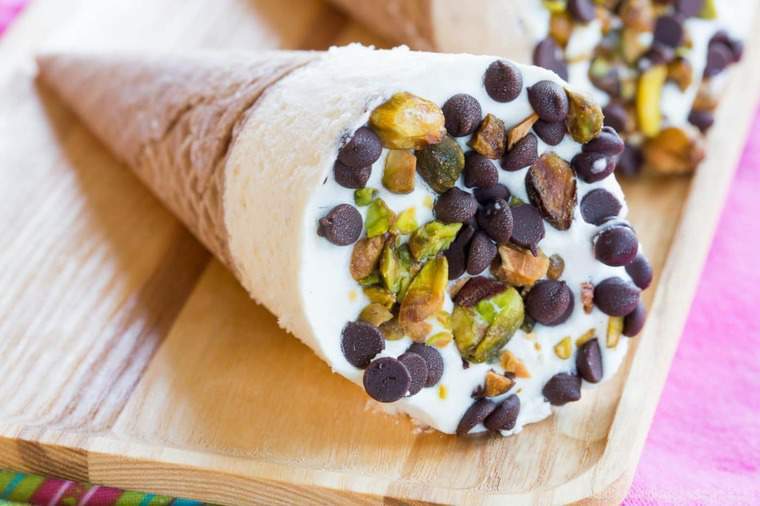 I bet you can’t wait to get your hands on Cannoli Ice Cream Cones! Melt the chocolate in the microwave at 50% power, stirring ever 15-30 seconds, until melted and smooth, or in a small saucepan over very low heat on the stove. Using a pastry brush, brush the melted chocolate on the inside of the cones and allow to harden, placing in the refrigerator if necessary. Wrap each cone in wax paper tightly so that it comes about 1 1/2-2 inches above the tops of the cones, taping the paper to keep in in place. Place the cones upright in empty jars or glasses. Prepare the ice cream mixture as per the directions below and carefully pour the mixture into the cones so that it comes about an inch above the top of the cone. 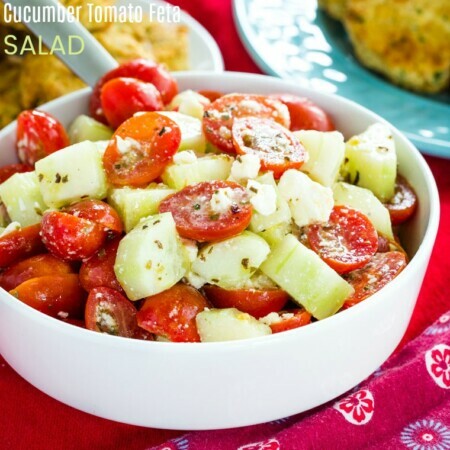 Sprinkle the top of each with about a teaspoon of mini chocolate chips and a teaspoon of chopped pistachios. 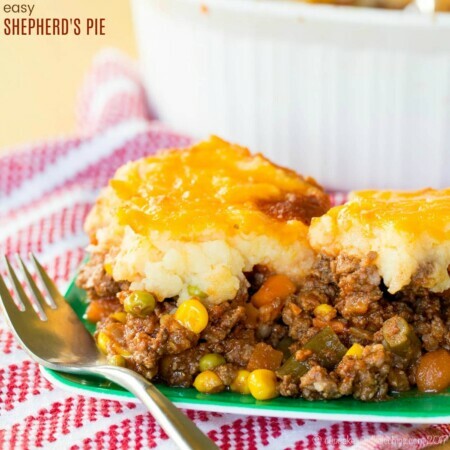 Place in the freezer upright for about 6 hours or until frozen. 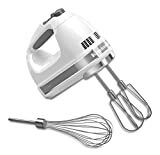 In a medium bowl, whisk together the ricotta cheese, sweetened condensed milk, and vanilla until smooth. Set aside. 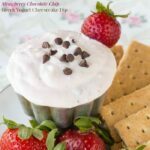 Gently fold the cream cheese mixture into the whipped cream, then fold in the mini chocolate chips and chopped pistachios. Fill the cones as directed above. 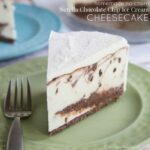 If there is any extra ice cream mixture, pour it into a container that you can freeze and has an airtight lid, cover, and place in the freezer until frozen. Ice cream recipe adapted from Just a Little Bit of Bacon. You know what would also be amazing? 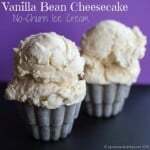 Making Cheesecake Ice Cream Cones with this Vanilla Bean Cheesecake No-Churn Ice Cream. Honestly, I’ve never tried canoli like this, but your way of presenting the recipe convinced me. I might as well give this a try after a quick trip to the supermarket. And I really loved that you added pistachio instead of hazelnuts, btw! I hope you enjoy the cannoli ice cream cones. 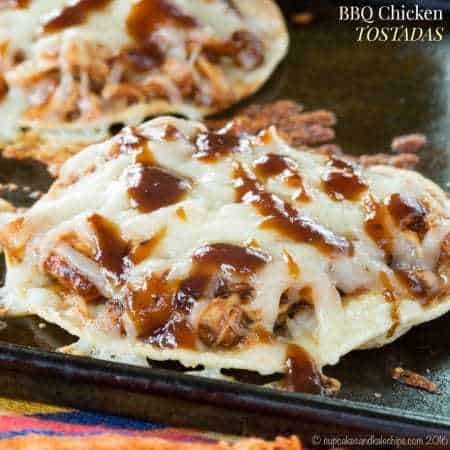 They’re a favorite at our house! 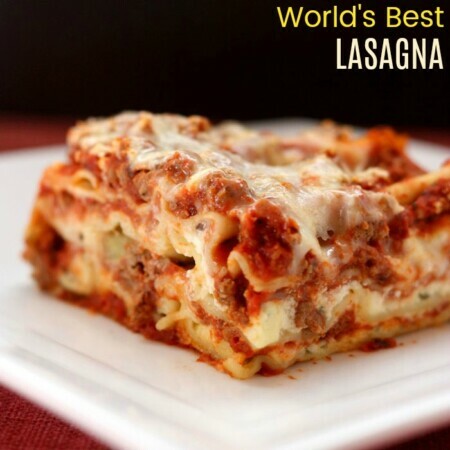 This looks like an awesome recipe to try. Really enjoy your site very much! If you are ever in Boston, go to Mike’s in the North End and have their cannoli. the very best!!! Thanks for the tip, Marlene!